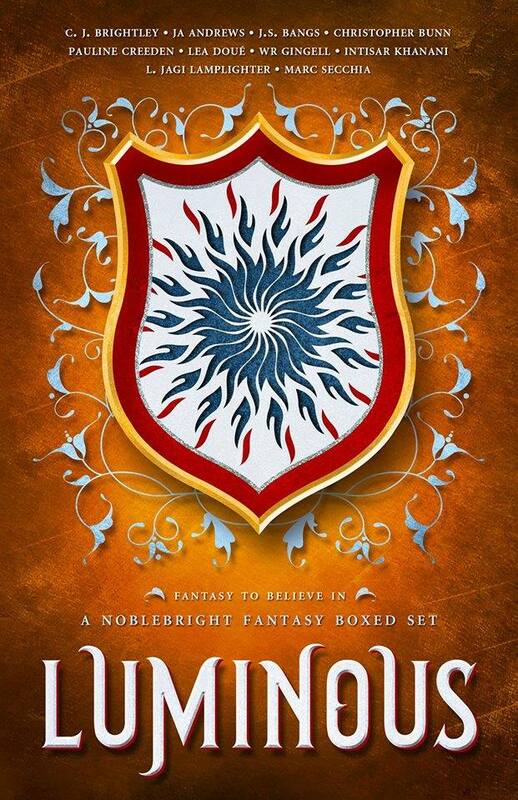 New Release: LUMINOUS Boxed Set of Noblebright Fantasy! Late last year, I agreed to be part of a boxed set of Noblebright stories being put together by author CJ Brightley. That set, LUMINOUS, releases this week! I haven’t yet finished reading all the books in it, but the ones I have read are fantastic. My SUNBOLT is included, as is W.R Gingell’s WOLFSKIN and Lea Doue’s THE FIRETHORN CROWN, which should give you a feel for this particular Noblebright set. Love what you see? Please help share this awesome boxed set, and … Happy reading! Previous Post: « Three Sunbolt Giveaways!